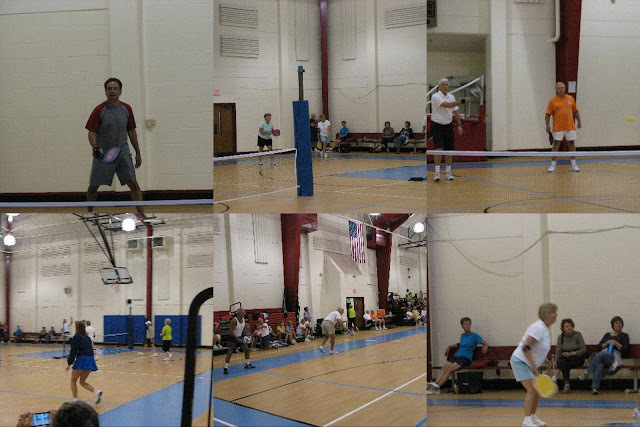 The 23rd Annual Gulf Coast Senior Games were played this year in Manatee and Sarasota counties in Florida. But this was the very FIRST year that athletes were able to compete in the game of pickleball. Thanks The Pickleball event was held in Bradenton, FL on Tuesday February 21st. The Wilsons of Anna Maria Island competed in this event, and shared a few pictures taken that day. Three courts were set up for a single elimination event with one game played to 21 points and included singles, doubles and mixed doubles competition.